If your inventory is assigned to service providers, you can reconcile the cost owed to those providers for your records. Only checked-in bookings can be reconciled, so make sure all relevant bookings are checked in first. First, navigate to Bookings > Reconciliations in the main menu. If that menu item isn’t available, your user account may not have access, or you may need to enable it by customizing your menu layout. 2. Enter your reconciliation criteria. You can set a date range (1), select the service providers to include in the reconciliation report (2), and choose whether to show PAX that have already been reconciled (3). 3. Click Get Bookings (4). The reconciliation report will include all checked-in PAX from inventory items that were assigned to one of the selected service providers at the time of booking. 4. Look over the amounts to ensure that they’re correct. If any adjustments need to be made, you can enter them as positive or negative values in the Adjustment (1) fields. – Enter any invoice or ID numbers in the ID Number field (2). 5. Click Create Reconciliation (3) when you’ve confirmed the total cost price to be paid to the provider. 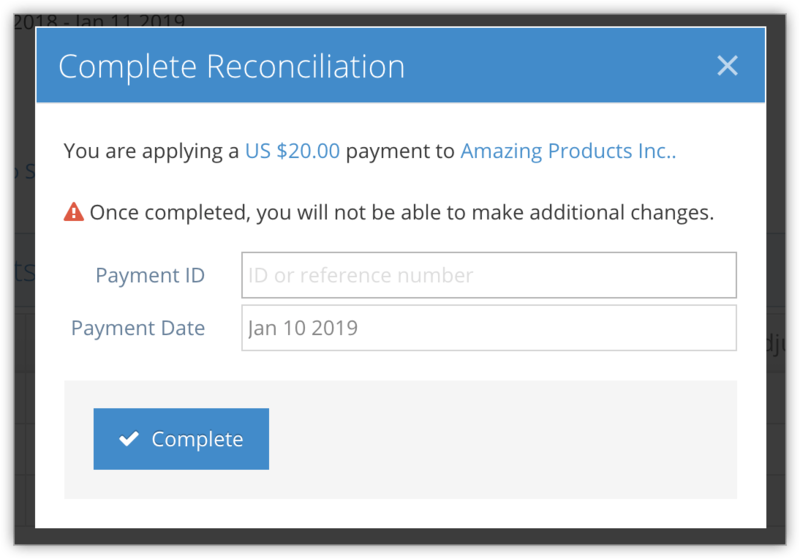 When a PAX has been reconciled, a check mark appears next to the cost for that line, which will no longer be added to later reconciliation totals even if that PAX is included in the report. When you’re ready to prepare the payment to the provider, you can complete the reconciliation and record the payment information for your records. 1. Click Complete on the reconciliation page. 4. Enter the check, payment or reference ID in the field provided. Please note that reconciling providers doesn’t pay those providers – it simply marks them as reconciled within Rezgo. When a reconciliation has been completed, its completion time will be recorded.